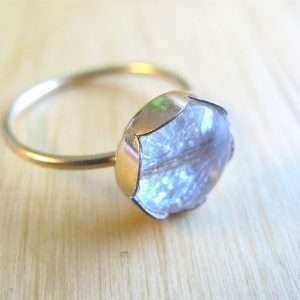 Add what color(s) of add-ons you’d like, engraved characters if choosing any. 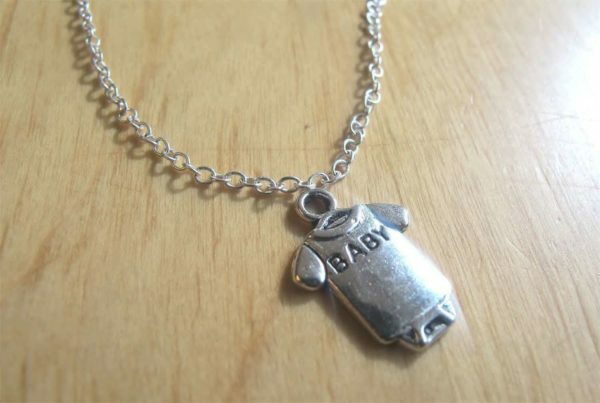 Add a cute baby “Onesie” bodysuit charm to any necklace! 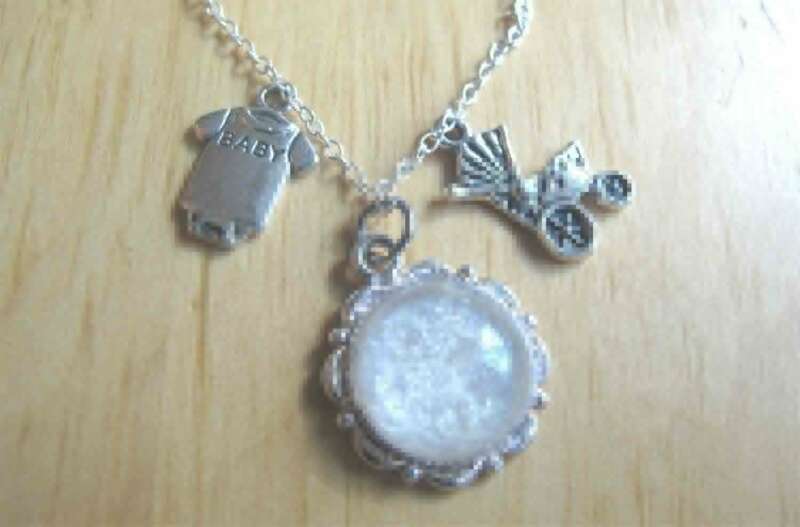 This is an add-on to existing breast milk jewelry but can also be purchased alone with a chain of your choice. 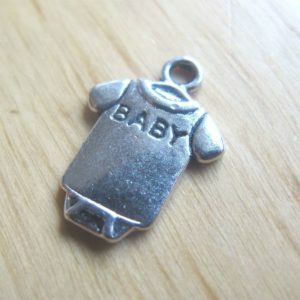 This charm is made from silver plated brass. 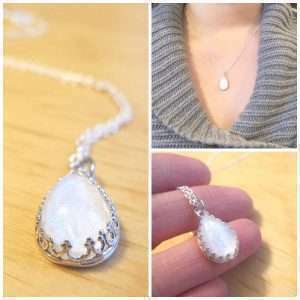 The add-on does not come with a chain, just the pendant that will be added to your necklace. 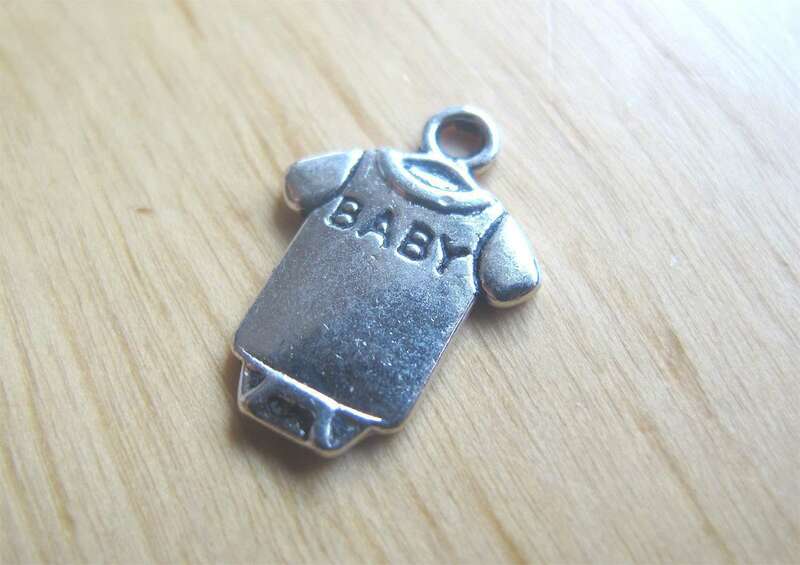 If you purchase the charm with chain (not as an add-on to your breast milk jewelry), the chain is silver plated by default. 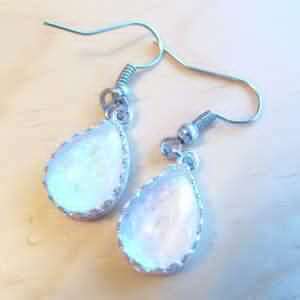 MOTHER'S DAY SALE is here! 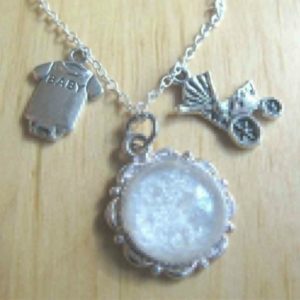 Order now and send in your material(s) ASAP to get your breastmilk jewelry by May 12! Discount already applied.